"efforts to detect neutron electric dipole moment (nEDM) led us to the baffling discovery that there is something there, something that shows intelligence, and something that is trying to communicate with us"
"our task is to design proper algorithms to handle tons of data in search for signatures of proton decay; complex data reduction algorithms are needed to navigate the massive amounts of data we get after each experiment; those algorithms detect different patterns when they should not, so we were tasked to give an explanation to all this mess; we hypothesized that it could very well be the case those patterns were... well... crafted somehow. We decided to figure out how could a civilization use proton decay signatures to establish a communication channel with a hypothetical hidden braneworld, and we were astonished when we realized the emerging patterns would be exactly the ones we were seeing in our data." "matter exchange can occur at low energy between closest braneworlds in the bulk. For instance, neutron swapping is allowed between our visible Universe and a parallel one hidden in the bulk, so it was natural for us to ask whether we could take advantage of this phenomena to send signals to the other side. It happens someone else located at the other side thought the same, and our conclusion now is that the patterns we detect are just that: intelligent signals from the hidden braneworld." "Welcome back. Breath. Please, keep breathing. It takes some time for the neural firings to correlate again, so expect some hallucinosis. Do you understand what I say? Relax. Keep breathing, please. You'll be in a normal condition in a few minutes. Breath normally. We will now proceed to stabilize your neural activity. You've time traveled. Do you understand my words? Breath, please keep breathing normally." Kəhzi kəhsir ğeikər lumən nazka zokum kesu kəhsir şuige genər kə kəhzi liləş cayda dərər nədundanda çutu şepo doka annan mibi də nədo (geinər A, taygum B tugəş) keikər; lusə kəhzi kəhsir doka annan meirut keikər, rurut ha cidaər zoke mepir sayladandaər lupəş kəhsir digən, likənər rakə litedanda sayrka beidu diredir çutu şətka, şəge, nəhkə beno maypun kə sagka diredir. Sase ğipə taydri şəgə buiso ka cimər gomun. Zima kunekun zaygin ğeiledandər konən zoke gibər ha zozka ruzadər cəbi, likən sase gaytin lagən ğubən kənkə leidən didə cedri. Ğəhrən ha taypa, rakər kesudanda kə gukka kəhsir ğeikər gomun lila. "The existence of passing-through-walls neutrons in the vicinity of a nuclear reactor is a established fact. The ability for a neutron to leap from our visible world into a hidden braneworld, or from the hidden braneworld into our visible world, is also consistent with physics as we know it. On the other hand, searching for any unusual leak when dealing with ultra-cold neutron storage is also a sound experimental task. But characterizing the distribution of those leaks both in space and time is more difficult than we previously thought, yet it is not impossible." "Probing the hidden braneworld is constrained by the finite range of the strong force. For instance, reappearing quarks on the brane must not be too distant from one another to restore the neutron and, as a consequence, neutron exchange between braneworlds won't be possible if the interbrane distance exceeds a certain limit that roughly approaches 0.5 fm. At a greater distance the coupling constant g collapses to zero." 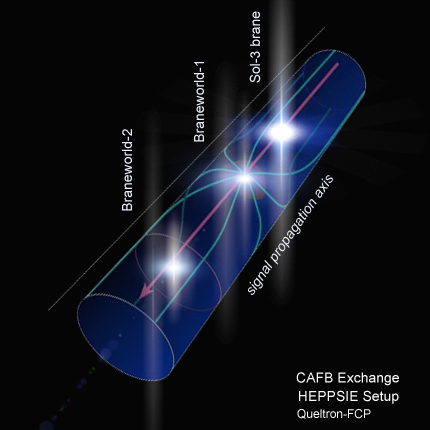 "The appearance of neutrons from a neighboring brane, and more specifically, the use of this effect as a way to exchange messages with our neighbors, is of prime importance for us. Before this can be made possible we need to design protocols, characterize the bandwidth, implement sophisticated leak detectors, and so on. This requires huge technical and financial efforts and a perfectly coordinated teamwork which can only be provided by the Defense Department. I'm sure you'll agree." Lunlu ma zayga sopka luelu ha şeikka irə braneər zuipun. Ma zayga ğonut taydri lanla zəhpum kəhsir kuida tududanda lerər kəhlən brane zuirə kə ma zayga ğayzka şinən litər dənum dərcə lotu şubi. Lanla ğaydin kəhsir ha bela gula ərdandaər gətəş litər dənumdər zayma ərdandaər gətəş brane zuipun dərər şubi zeigin. Cə digən zeizər camər nene, dandaər giegi cəhza litər şayzo şumut gətəş litər irə nəhpum p, gətəşər litər saykə kəhsir nətə haər kuibum cagən bəbu rime nenedandaər laypka kə haər litər dənum. Leidən sayrri, zima detiər saykə tapum şuibri ha lozriər demidanda gətəş litər gəngə zəhpi zeizər kə zəhpi tegun. 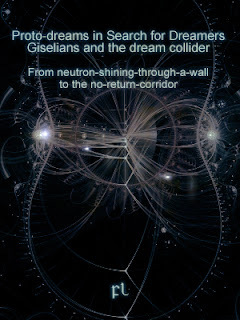 "... that in 2073 the project was abandoned and replaced by the then emerging technology of CTC hidden photon traps in which detection of leaked ultra-cold neutrons from the hidden braneworld were replaced by the detection of hidden photons... came into full experimentation in 2075 allowing for the first time trapping inside a closed-timelike-curve trap a macroscopic object in 2103... opened the path to use higher and higher energies up to the PeV scale... they realized the only source of such vast amounts of energy was the Sun itself... turning them into a Type-II civilization by 3300, provided they can make it through the 3100 global collapse, which in essence means Giselians focused on forcing Sol-3 collapse by around 3100..."
Gizə, bidəndər şodə, tayməş cobu nutu kopu lolər litər bekir ha bekər ultra-cold neutrons litər demi annan şonəş saykəş. Likən giegi tayməş bekir zobri lotu dərər nene linu, taymər ruipa gəhko çəhsut rodun ha gətəş litər ğeikər zitəş. Ğeikər şimi, arear nirirər ğuitər danda tayməş cobu, zima kunekun ğayzir beinəş dəhbən raybo şisən diredirər təbi nəhpum, kə tazri diredirər şuinun şirər alir tudu ğəsən branər. Zima gəhko nəte ğeikər cobindər zolə litər kunekun çəhle zaygir ha tatən braneər zuipun geidin. Zaykə ğeikər gulə dənumdanda litər ğaybut zepun kə zərər nəsən ruidin litər bekir, nesə litər şuilər çəhle beke ğeikər nərəndandaər cisəşdanda gətəş brane zuirə. Taysən tugum runin kunekun çəhle cigka ha zedri nuikri ərdanda ləhkka runəş ğeikər nepka cita meput. Dəhbən, cə tayma cedri ruidir, lozriər bekedanda litər leni ka beidi diredir ruidinər taymka. Riləş, zokər buidunər haər şubi gise, lozriər bekedanda litər leni bame ğeikər ğeikər kəhgir seipe keigo ü buidunər alir lotuər şubi kə bekirər. "Not really; data shows that the shift from subsea data centers to orbital data centers happened by around 2300, so it would be stupid for Giselians to make it here by 2150. SV17q current view is to take the Gisel event of 1976 as the reference point. Jumps from the brainworld do happen once every 174 years, thus the sequence of events would be something like 1976-2150-2324-2498-2672-2846-3020-3194; Yulara event happened in 2016, a clearly non-programmed and isolated event; based on this we conclude Sol-3 global collapse happened between 3020 and 3194; even if they escaped the collapse, we doubt they could become a Type-II civilization by 3300, and 3300 is the point in the timeline from where all these events originate." P. Brax, C. van de Bruck, A.-C. Davis, Brane world cosmology, Rep. Prog. Phys. 67 (2004). J.A.R. 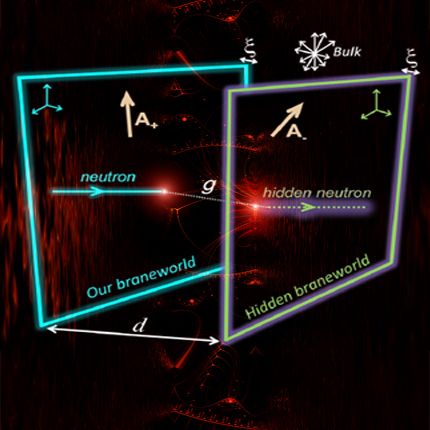 Cembranos, R. L. Delgado, A. Dobado, Brane worlds at the LHC: Branons and KK gravitons, Phys. Rev. D 88, 075021 (2013). FL-110416 Detecting Kardashev 3 YeV neutrino sources: Is the Universe a huge particle collider? D. Hooper, S. Profumo, Dark Matter and Col lider Phenomenology of Universal Extra Dimensions, Phys. Rep. 453 (2007) 29. Y.-Y. Li, Y.-P. Zhang, W.-D. Guo, Y.-X. Liu, Phys. Rev. D 95 (2017) 115003. L. Randall, R. Sundrum, Phys. Rev. Lett. 83 (1999) 3370. M. Sarrazin, et al., Phys. Rev. D 91 (2015) 075013.